What is a MOOC and what is open learning? MOOCs were called the Innovative Disruption and Top Tech Trend of 2012 (Watters, 2012). The primary reason behind the suggested “disruption” involves a break in the traditional hierarchal system of higher educational institutions. Instead of offering education to a select few based on a fee, through MOOCs and open learning, education is being offered to the masses at no cost. By opening online courses to the public, professors from around the world encourage any learner to learn from and with any other. The MOOC model is student focused, in that it offers a cost-effective solution to education for all. MOOCs themselves can been defined as either a “cMOOC” or an “xMOOC.” The primary difference between the two types of MOOCs is in the way that the course is designed and facilitated. xMOOCs, started in the United States by Thrun (2012) are usually based on a traditional online learning model focused on teacher-directed video lectures, discussion threads and computer-generated assessment practices. In comparison, cMOOCs, founded in Canada by Downes, Siemens and Cormier (2009) promote connectivist principles of learning. cMOOCs promote self-directed learning involving interaction between learners through the use of social media networks, social media integration and connections to personal authentic learning opportunities. The development and use of open educational resources (Bowen, 1987; Chang, 2010; Ehlers, 2013; Mason, 1991; Wilson, Schlapp, & Davidson, 2003). While there is no agreed-upon, comprehensive definition of open learning, central focus is commonly placed on the “needs of the learner as perceived by the learner” (Coffey, 1988). Due to provincial Freedom of Information and Privacy (FOIP) legislation, student personal data security concerns, limited educator familiarity with open learning and school districts’ policies, there can be a digital divide between Canadian students who have access to open learning opportunities in school and those who do not. This brief describes how Canadian educators have been addressing these concerns and opening the walls of their classrooms. By MOOCifying K-12, I have discovered the importance of relationships, peer feedback, modeling, support, scaffolding, collaborations, risk taking and digital identity in open online learning environments. To MOOCify your K-12 learning environment consider short, student directed, open projects that promote authentic inquiry-based learning with an emphasis on social media integration and networked learning (Roberts, 2013). Open learning can be integrated in stages. An educator can integrate social networks and interactions into closed learning management systems (LMSs) like Canvas Instructure or closed digital artifacts, such as blogs or wikis. This stage is teacher directed and the students would be limited to specific open educational content with learning interactions limited to specific participants. This type of learning environment would be considered a walled garden, in that the open learning is restricted by some kind of digital wall. Specifically, this means that the learners interact with each other and the public can “see” the interactions, but no one from “outside” the environment would be able to interact or collaborate with the learners without permission. The second stage could be a course offered through a publicly viewable blog, or open LMS, so the public can see the course content and interactions; however, the participants and interactions are restricted. The public would be able to see participants interact, but they would not be able to interact with the participants. This method offers an opportunity for students to develop their digital identity and voice without the need to respond to public and anonymous feedback. The student content could be linked to and remixed by others, so the students would be developing their own open educational resources. The final stage is creating a learning environment using an open digital tool like a wiki or blog or creating an open course in a LMS. The content is created by remixing or linking to open educational resources and promotes the students to create their own open content. The anonymous public can interact and give feedback to course participants. In Canada, all three stages require signed authorization from a parent or guardian. The difference between the first two stages and the third is that the first two stages can be monitored by an educator. However, the third stage needs a larger learning community to monitor and ensure the safety of all students. One educator cannot be responsible for a stage three open learning environment in which students, parents and educators have to support, provide feedback and monitor each other. Developing an open classroom means creating opportunities for students to learn in the open, based on parental permission as well as student digital literacy level and digital identity awareness. Educators have to be prepared for students to have different abilities and comfort levels when encouraging open learning and must be respectful of the individual concerns of their students. However, by having an opportunity to learn in the open, students can make connections with learners, ideas and digital content from around the world. Students have authentic learning opportunities with the integration of social media. Open learning encourages students to use the digital tools and social networks they are already using outside the classroom. experiencing the integration of social networks and tools into formal learning opportunities, students described deeper and more meaningful understanding because they interacted and engaged with more people and more digital content. Students were able to examine the impact of their digital identity through blogging, public interactions and peer feedback. They were encouraged to create their own course content based on their own passions and become self-directed learners. Open learning promotes different roles for educators and students because when you learn in the open—you learn together. Verena Roberts offered the first K-12 focused MOOC, called #Digifoot12, in the summer of 2012. The MOOC explored digital citizenship for students, parents and educators. By partnering with Steve Hargadon and Classroom 2.0, she created and facilitated #Digifoot12 as a six week open online course. Roberts followed the cMOOC design by having weekly topics, guest facilitators and promoting learning through blogging and social networks. The course was offered through Wikispaces, the Student 2.0 Ning Network and MightyBell. With over 300 registered participants, the course offered educators, students, parents and anyone involved in education an opportunity to learn about digital citizenship by developing a digital identity through digital experiences. Roberts was contracted by Alberta Distance Learning Centre (ADLC) in September 2012 to create open online opportunities and MOOCs for ADLC students and any other students who wished to participate. 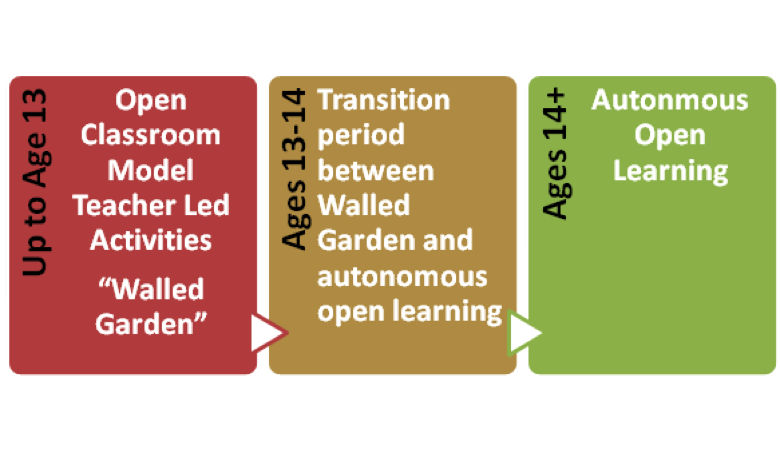 After examining open learning in K-12 learning contexts, the Open Classroom Model was created, based on a K-12 continuum of open learning practice. The Open Classroom model focuses on three strands of open learning: open educational resources, open pedagogy and open leadership. The primary goal of the OC@ADLC was to create accredited open online projects. The first accredited MOOC for High School students was called Beyond Facebook, or #BEFA12 and was offered in October 2012. Students could receive COM1255 Alberta Career and Technology Studies High School credit for completing the course. The course content and topic was developed by asking high school students in focus groups what they would like to learn in an open online environment. The students suggested that they wanted to learn in groups, maybe in blogs, about anything other than Facebook. The participants included 21 volunteer facilitators from around the world and seven Albertan students. Over three days, in the Canvas Instructure LMS, in groups with people they did not know, students were asked to create a blog, open it to the world and track its progress by using social media. Students were given asynchronous and synchronous opportunities to interact, including twitter chats, LMS discussions and videoconferencing. All the students who took the course were taking their first online course. The students were assessed based on Alberta Education’s proposed Framework for Student Learning competencies. The students were also offered open badges based on specific criteria, in the hopes that ADLC would create an open badge system. The student needed support and wanted to be heard. If he/she had not had a voice in a course facilitated by teachers, he/she would have still created the video, but would not have received the same level of support. The student received immediate support and feedback and simultaneously experienced authentic learning stemming from the potential negative consequences of establishing a publicly accessible digital identity. High school students may benefit from extra immediate support when they are involved in illegal or potentially unlawful situations and/or their physical safety or psychological well-being are threatened. Having a facilitator with whom high school students already have a positive relationship provides a supportive safety mechanism for the student. The findings from #BEFA12 promoted positive online student experiences with teachers in an open and connected learning environment. #BEFA12 reinforced the importance of managing relationships and understanding the risks that may accompany establishing trust and personal connections in learning environments. Bryan Jackson, an educator in the Coquitlam, BC School District, also initiated open pilots in 2012, though within a blended learning frameworks. Jackson offers a Philosophy 12 International Baccalaureate course in a face-to-face environment, which he opened to the world during the 2011-2012 Fall semester by creating a course blog that was open to public feedback and interaction. Students were able to post their course projects and reflections on the course blog and the public was encouraged to comment and give feedback. The Philosophy 12 course initiated participation from international educators and the students participated in a Google hangout for the Educational Technology and Media MOOC for educators to describe their open learning experience. In the hangout, the students promoted the authentic learning experience, their ability to use social media in engaging ways in their course projects and their appreciation of the feedback from open participants. The course was offered for one semester. Similarly, Jackson also launched a high school guitar course open to all. Using a blog platform, he created an interactive course based on basic skills and presentation. Like in Philosophy 12, his course had international participation from all ages. Bryan suggests that open learning encourages and develops a supportive and empathetic community. He suggests that open learning, “…can provide students with an environment where they might become the innovators and inventors of themselves and their own worlds, breathe life into their own ideas and figure out how to take their communities beyond the sum of their individual parts” (Jackson, 2012). One of the first MOOCs for K-12 online educators was called the “Virtual Schooling MOOC,” offered by Dr. Michael Barbour and colleagues. The six-week course, delivered in September 2012, offered an excellent collection of K-12 online learning resources. In November 2012, Dr. Valerie Irvine developed and facilitated an open workshop called “Moving Educational Traditions for Open Practices” for the Community of Expertise in Educational Technology (CEET). Dr. Irvine initiated the conversation about “how and why” to practice in the open, especially in BC and established a K-12 open hashtag in Twitter known as #ceetopen. In January 2013, Dr. Alec Couros led a team of open collaborators through a MOOC called “#ETMOOC – Educational Technology and Media.” The course was designed as a cMOOC, but not affiliated with any university or institution. The three-month course developed into a community. There was no set assessment and K-12 educators participated for the sake of learning together. 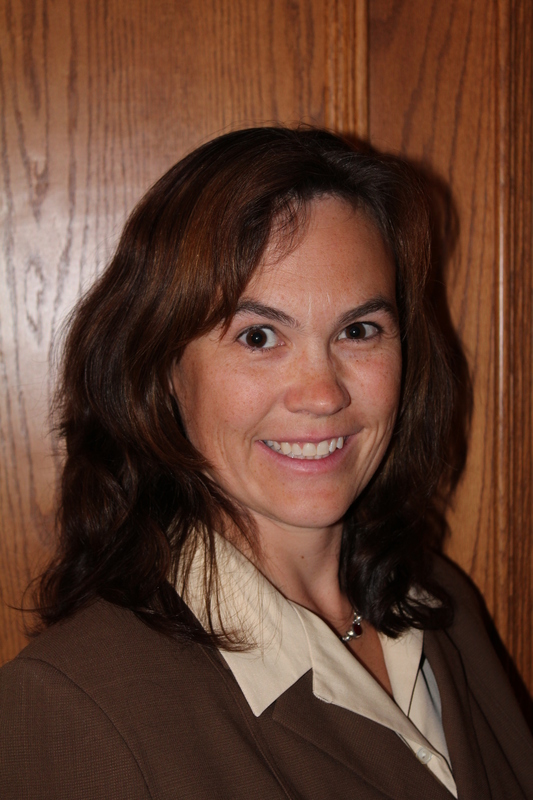 In February 2013, Verena Roberts extended Dr. Irvine and Dr. Couros’s work by developing and offering a CEET open course using Google communities and Wikispaces as a platform. Using the research and findings from her experiences as an open learner and educator, the one week course was offered and included social media, Twitter integration, Google communities, open educational resources and was designed around the open classroom model. The course started with 100 participants and has grown to over 800. Dr. Irvine, Dr. Couros and Verena Roberts were able to demonstrate that an online course can transition into open online communities that are sustained by the communities’ participants. The final OC@ADLC pilot was a high school MOOC facilitated and developed by high school students. Verena worked with Don Wettrick, a high school Broadcasting and Innovations Class teacher from Franklin High School, Indiana to support his students in leading a two week course called #StuHackEd. The two-week course was based on video creation. In the first week the students learned how to create a video online. During the second week, Wettrick asked participants to create a video about what they can teach the world. The course was delivered using Wikispaces and a Google Community. Although there was not a huge number of student participants, this course had global participation and has encouraged extensions and new projects in Australia, Israel and Kelowna, BC. Students and educators learned together through dialogue in the Google Community. There is current replication and extension of many of the open online experiments. Bryan Jackson has started a new year teaching Philosophy 12. A new startup company called iDesignEDU is working with Verena Roberts to create a high school MOOC for UTTyler in Anatomy and Physiology, which will be offered as a dual credit option for students. The rationale for the MOOC is to offer an online transition course that generally has high withdrawal rates in college. The goal is to change the pattern of incompletion and to create support for students before they get into college. A collaboration of Alberta school districts will offer an accredited high school open online course in Leadership in October 2013. An addition to the open online course will be a competency-based Mozilla Open Badge option for students, in an attempt to blend formal and informal assessment in their learning portfolios. Finally, Carolyn Durley in Kelowna, BC is developing MOOCon24–a twenty four hour open conference facilitated by hourly student led cohorts from around the world. Her previous open learning programmes include innovative flipped learning opportunities for high school science classrooms. Open learners include students, parents, educators and administrators. By encouraging everyone to learn from and with each other, we are able to create a more supportive and empathetic learning community. Open learning is a risk because of its transparency and our natural aversion to failure as humans. The emphasis is not on a finished product in open learning, but on watching and learning through process – in an open way. The open learners throughout these examples took a chance and demonstrated their self-awareness by searching for supportive collaboration, building trust and developing relationships. The learners expressed appreciation for having the opportunity to learn about what they were passionate about through an emphasis on self-directed learning and personal learning connections. Open learning provides an authentic way for learners to experience how to influence and have a voice in their own learning. This is demonstrated through the wide variety of options presented in this paper. Bowen, P. (1987). Open learning formats in high performance training. Open Learning: The Journal of Open, Distance and e-Learning, 2(2), 29–31. Chang, B. (2010). Culture as a tool: facilitating knowledge construction in the context of a learning community. International Journal of Lifelong Education, 29(6) 705–722. Coffey, J. (1988). Guest editorial: The opening learning movement. Innovations in Education & Training International, 25(3), 195–196. D’Antoni, S. (2009). Open educational resources: Reviewing initiatives and issues. Open Learning: The Journal of Open, Distance and e-Learning, 24(1), 4. Ehlers, U.-D. (2013). Open learning cultures: A guide to quality, evaluation, and assessment for future learning. Heidelberg: Springer Verlag. Mason, R. (1991). Open learning in the 1990s, Open Learning: The Journal of Open, Distance and e-Learning, 6(1), 49–50. Wilson, V., Schlapp, U., & Davidson, J. (2003). Prescription for learning? Meeting the development needs of the pharmacy profession. International Journal of Lifelong Education, 22(4), 380–395.